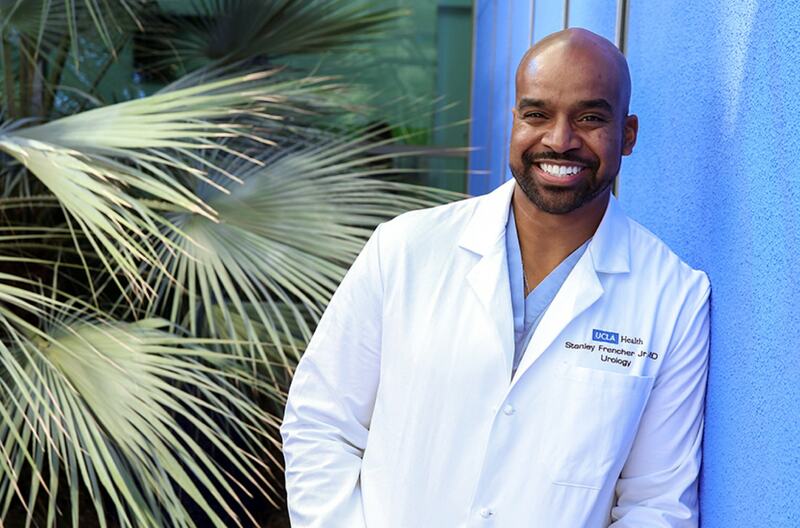 LOS ANGELES, CA (July 31, 2015)—Medell Briggs-Malonson, MD, MPH, MSHS, Medical Director of Quality and Stanley K. Frencher, Jr. MD, MPH, Director of Surgical Outcomes and Quality at the new Martin Luther King, Jr. Community Hospital (MLKCH) have been named two of the 2015 National Medical Association’s (NMA) Top Healthcare Professionals Under 40. The award was presented by the NMA Post-Graduate Section, which represents residents, fellows, and physicians during the first five years of practice. It honors health professionals under the age of 40, who have notable accomplishments in healthcare and service to the community. Both doctors will be honored during the opening ceremony of the NMA’s Annual Convention and Scientific Assembly in Detroit, MI. The NMA’s Annual Convention and Scientific Assembly is acclaimed as the nation’s foremost forum on medical science and African American health. Each year, African American physicians and other health professionals from across the country convene to participate in the scholarly exchange of medical advances, discuss health policy priorities, and share experiences through networking opportunities. Dr. Briggs-Malonson is responsible for providing clinical leadership in the development of the hospital's strategic approach to quality and performance improvement. She has spent much of her time working in the community and continues to focus on developing healthcare delivery models to improve quality across the continuum of care. Dr. Frencher is charged with the strategy, delivery, and growth of surgical specialties for the new hospital. His focus continues to be: the improvement of surgical quality; access to specialty care for vulnerable populations; and minority men’s health. He is recognized as a future leader in health and an advocate for his patients and community. For more information about MLKCH and its staff, follow us on social media at https://twitter.com/YourMLKCH and www.facebook.com/yourmlkch. Martin Luther King, Jr. Community Hospital is a private, nonprofit, safety-net hospital, administered by the Martin Luther King, Jr. - Los Angeles Healthcare Corporation (MLK-LA), a 501(c)(3) organization. The 131-bed community hospital has a 21-bed emergency department, 20 ICU beds, and 18 labor, delivery, and postpartum beds. The hospital seeks to provide compassionate, innovative and quality care, and to collaborate with providers and the community to create a healthier South Los Angeles. The hospital serves 1.35 million residents of South Los Angeles regardless of their insurance status or ability to pay.